Sterling Silver 6mm, 6 Petal Shiny Flower Bead Cap. Sold in packs of 20. 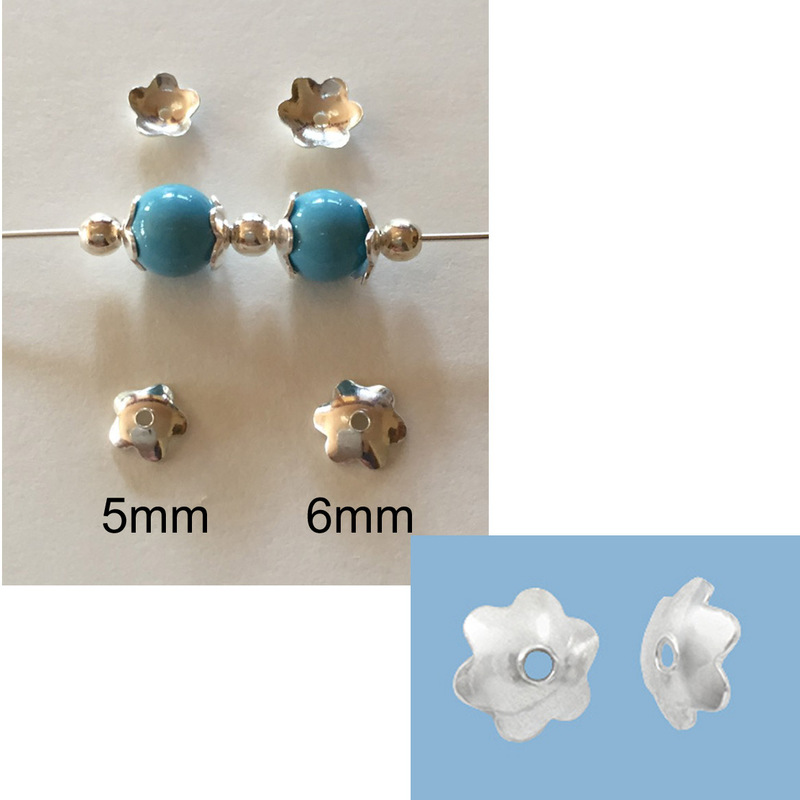 This bead cap is perfect for round 6mm beads such as the Swarovski crystal bead shown in the picture.